Did you know that June is Alzheimer’s and Brain Awareness Month? Don’t worry if you didn’t, we understand! With many high-profile campaigns being mounted on behalf of undoubtedly deserving causes lately, suddenly popping up into the public eye and often seemingly disappearing almost as quickly, it can sometimes be tough to keep track of exactly where and how to stay in touch with the causes that really matter to you. This month, Freedom Home Care would like to take the excellent opportunity to see Alzheimer’s and Brain Awareness Month not only as a short-term effort to raise visibility on relative issues, but to help connect people in the Alzheimer’s community and beyond in more substantial and long-term ways. It’s reasonably estimated that approximately 47 million people worldwide struggle with some kind of dementia-related illness, including but not limited to Alzheimer’s. What many people may be even more interested to know is that, while much ground is being gained in research, the cause for almost all Alzheimer’s cases (not counting the approximately 3 percent of cases that present with suspect genetic differences) is still greatly unknown. That means that just about everyone with a brain has a good reason to be interested in fighting Alzheimer’s and dementia! Perhaps the most unsettling thing about the disease, though, is the fact that modern medicine is only recently starting to find ways to treat it. No cure exists, and at the moment, only basic treatments for the relief of some minor symptoms are available. 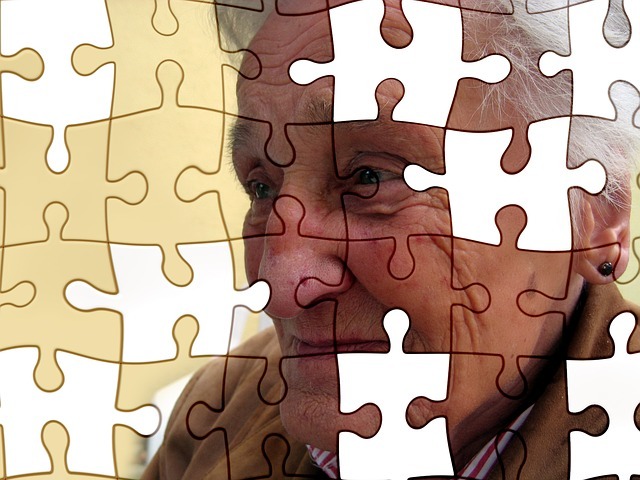 Indeed, Alzheimer’s and dementia remain serious puzzles for which much consideration is still needed to understand. This month, we’re joining the Greater Illinois Chapter of the Alzheimer’s Association, a national non-profit focusing on support and research, to carry their call for involvement as far as possible. Luckily, they’re helping to make it easy! The Alzheimer’s Association has been doing a commendable job getting volunteers out on the streets to raise money and getting interested citizens together to discuss the issues this month, and a few good opportunities are still upcoming if you’d like to get involved. On Saturday, June 27th, the Hawthorne Scholastic Academy (3319 N. Clifton Ave.) will play host to what is perhaps the Association’s largest independent national fundraising event, the Blondes vs. Brunettes charity football game. Blondes vs. Brunettes is a traveling event that began in 2005 and has raised more than $5 million in donations for Alzheimer’s and dementia research. The game will definitely provide a great way for interested but busy folks to turn a fun day for the family into a worthwhile charitable effort, too. For some other support options that are a little bit easier to fit into your everyday routine, there are some excellent promotional partnerships going on throughout the rest of the month, including the Memorable Meals campaign, which finds local restaurants highlighting menu items or special promotions that will be used to donate a percentage of sales to the Association. A list of participating restaurants can be searched here. A series of acclaimed instructional classes for aspiring and established caregivers, called the ‘Savvy Caregiver Plus Program,’ will also continue through this month and begin again later in the year. Don’t hesitate to get and stay in touch with upcoming plans at the Alzheimer’s Association’s Greater Illinois Chapter homepage! There is truly no help too small for a problem so large, and we at Freedom Home Care strongly believe that everyone can make a difference. Here’s to the Alzheimer’s Association and the great opportunities they’re giving us to do just that!